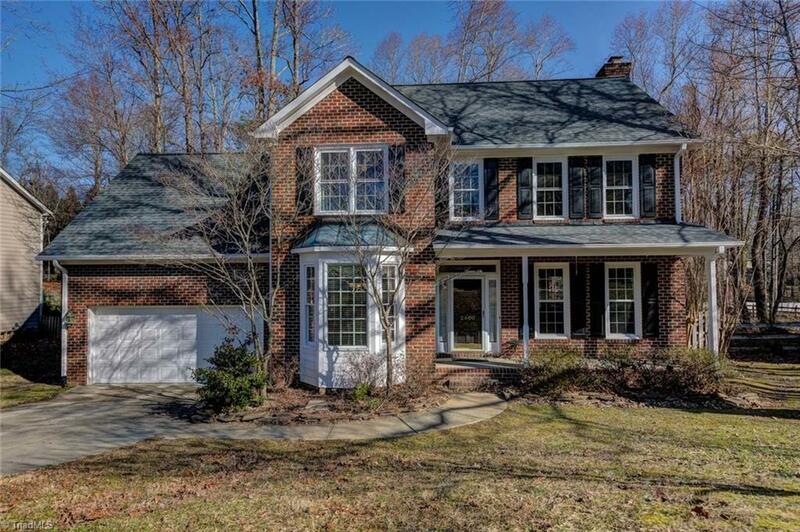 Beautiful home in Lake Jeanette-3BR,2.5BA with bonus room. Freshly painted, updated WINDOWS and ROOF! Open kitchen with white cabinets, granite counters, stainless steel appliances and large pantry. Hardwood floors on main. Generous size family room with fireplace and 9ft ceilings. Main level office with French doors and natural light. Large master suite with generous size closet, vanities and Jacuzzi tub; approximately 7 minutes from the park and Greensboro Day with convenient access to Battleground.